Since 20th November, 29 Kurdish Political Prisoners whose are mixed with clink of murders and drug dealers have started hunger strike. Free and Democratic Society of Eastern Kurdistan (KODAR) announced its support and solidarity with the hunger strikers. The prisoner’s strikers are expanding more and becoming more generalized. This expansion is a sign of liberation of the Iranian nations generally and Kurdish nation especially. This sort of struggle demonstrates the real and active political movement among the people. The main aim of this movement is to create a free and democratic society, and this society based on all human rights against dictatorship in Iranian government. However, Iranian regime are trying to destroy and subjugate the political and civilian activists but the victory of the strikers inside prisons reveals the failure of anti humanity Islamic Republic of Iran. Beside Kurdish nation, the other nations in Iran such as Arabs and Baluchis are facing pressure. But the prisoners’ insisting on their democratic and freedom demands boosts the level of freedom seekers activities throughout Iran. 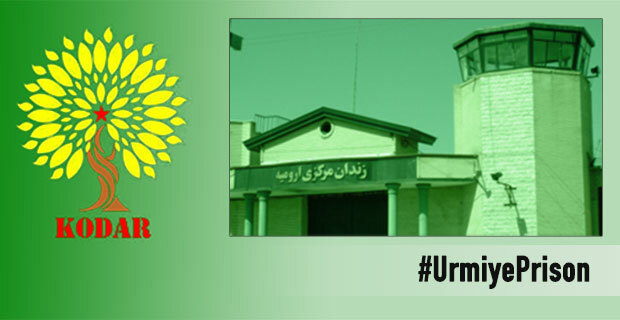 We ask all human rights organizations and activists in Iran and all around the world to support the prisoner’s demands and put pressure on the Islamic Republic of Iran to submit the prisoner’s rights.